With Valentine’s day approaching, I’m breaking today a series of plant based clean eating recipes I’ve published over the last couple of months. This pan seared shrimp recipe I’ve created for all those of you in mind who love or who have a hubby or partner who loves to eat meat and seafood. If you are curious to know why I’m so rarely publishing any recipes with animal products, I’ll share my thoughts on this at the end of this blog post. But first let me show you how you can easily surprise your loved one (maybe on Valentines) with this seducing meal within 20 minutes. Make sure to have cooked grains and broccoli at hand. In this garlicky dish we will pan sear the shrimp quickly to give it a crispy crust outside while maintaining a tender texture inside. In a small bowl whisk soy sauce, honey, water, chili flakes, and garlic together. Set aside. Use a medium bowl and add olive oil + shrimp. Toss to coat and season it with salt and pepper. Heat a large skillet or saucepan over medium-high heat. Add soy honey garlic sauce and let it simmer for about 1-2 minutes more, until the shrimp is cooked through. Remove the seafood from skillet to not overcook. Reduce the sauce a bit to thicken but keep an eye on it as the sauce is easy to burn. 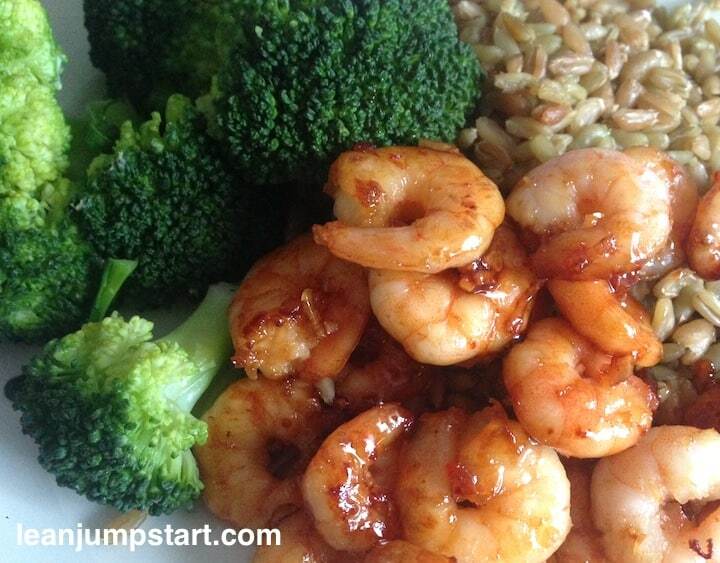 Arrange the shrimp on 2 plates each with the honey garlic sauce over grains and broccoli. You can serve this seafood dish with any whole grain: brown rice, millet or even with the pseudo grain quinoa for an extra protein rich meal. I used freekeh a spelt like grain with a smoky taste. 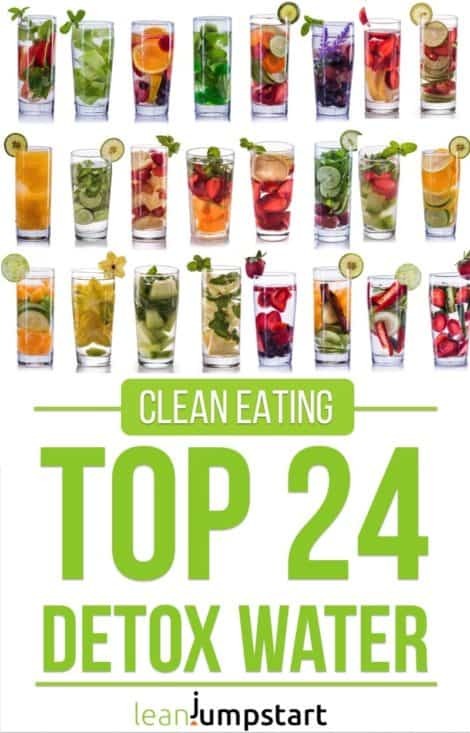 Why are most of my clean eating recipes plant based? As you might know my goal on leanjumpstart.com is to make healthy cooking accessible for all rather than building an ideology around. I think that a dogmatic approach to any nutrition concept is more harmful than anything we put in our mouths. For example eating vegan doesn’t mean that it’s automatically healthy. You can eat vegan cookies (e.g. Oreos), chips, cakes …which is certainly not really beneficial for your overall health. That’s why my relaxed 80/20 approach to clean eating is so important to me. When it comes to animal foods I developed over the last few years a minimalist approach. A considerable body of evidence indicates that a healthy plant based diet is superior to all other nutrition concepts. The website nutrionfacts.org by Dr. Michael Greger was and still is an eye-opener for me. Films, such as “What The Health!,” “Food Choices”, “Plant pure Nation”, “Fork Over Knives,” “Earthlings” and “Cowspiracy” have changed the way I view animals, food, our environment and our health. I love to get my protein from legumes. My daughter turned vegan since a few years and she experiments a lot with creative and vegan clean eating meals. My hubby realizes that he should go plant-based to lower his high blood pressure but he enjoys meat from time to time. He eats it however only occasionally at business lunches or he asks sometimes his mother to make him his beloved “Fleischküchle” (South-German dialect for Hamburger). At home he more (or less) enjoys our plant-based clean eating meals. I never enjoyed cooking with meat. My hubby and me used to eat fish or seafood (like the honey garlic shrimp) on Fridays. We know it is an excellent source for the so important Omega 3 fatty acids. On the other hand there is the risk of eating too much mercury. Nowadays we often eat plant based, even on our former traditional “Fish Fridays”. At social occasions I have no dietary restrictions, although I prefer plant based meals if I have the choice. Why I published this recipe? I know that many of my readers are transitioning towards a clean and plant based nutrition. Often they are struggling as their partners and kids are partly still eating animal products. 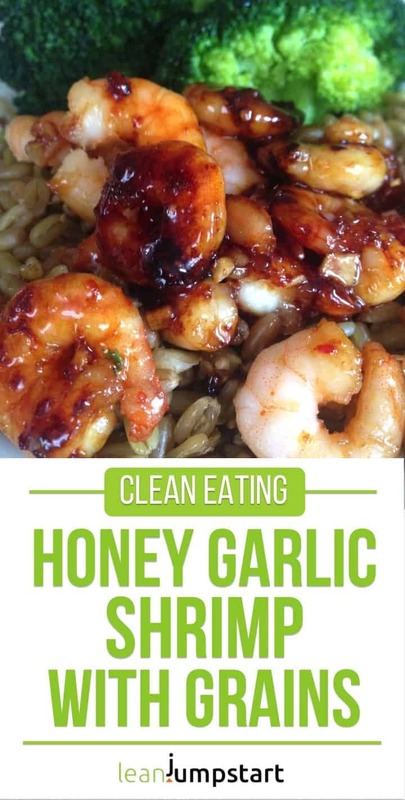 This almost “festive” honey garlic shrimp is an easy recipe you can whip up together combining the best of a plant based nutrition with a delicious component for seafood lovers. On top of that it is super simple to prepare. Enjoy! Is it a sauce or marinade? It seems that little or no time was spent marinating. Thank you for your question. It is in fact a sauce and not a marinade, I’ve just corrected it on the recipe. This looks like something my husband would really enjoy, but I have never heard of freekeh. What type of grain is it and how is it cooked? Thanks in advance for the information. Thank you Patti. 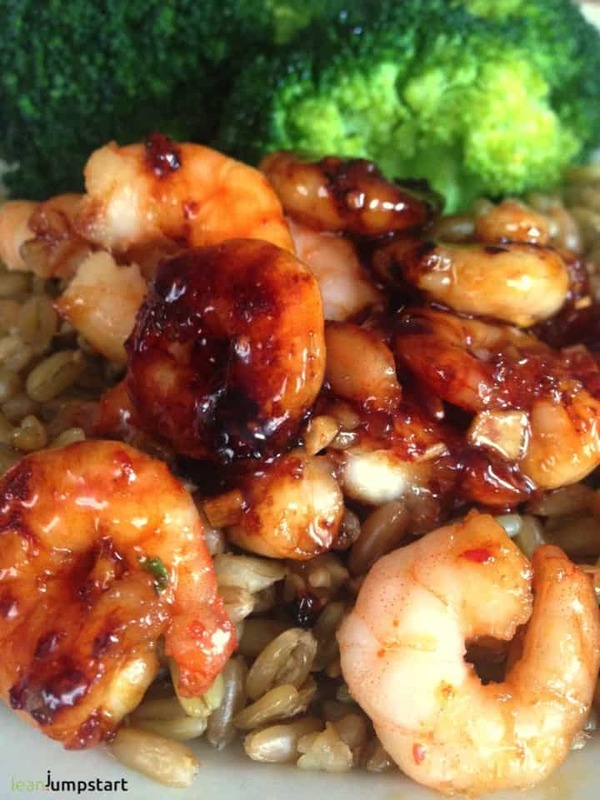 First of all no need to buy freekeh just for this honey garlic shrimp dish. Better to stick to the grains your husband loves like maybe brown rice.